Unsung heroes – In conjunction with Total Defence Day (February 15), we shine the spotlight on Community First Responders (CFRs) who save lives on their own time. When the call comes in, paramedics are always quick to react. But the first on the scene is probably one of the Community First Responders (CFRs). There to provide first aid before an ambulance arrives, these trained civilians safeguard our nation by making the crucial difference between life and death – and that isn’t even their day job. 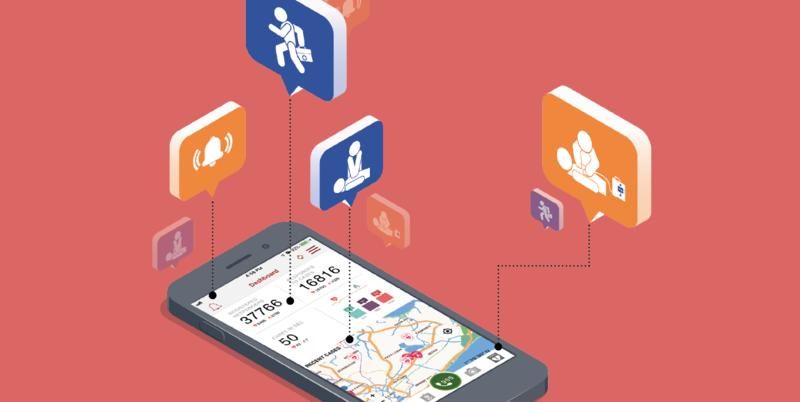 What made you decide to register as a CFR on the myResponder app? I downloaded the app last year after witnessing a CFR attending to my late grandfather when he suffered a cardiac arrest at his home. Tell us about a memorable rescue mission you’ve had as a CFR. Recently, there was a case where an elderly person had gone into cardiac arrest. I had just come home from work when I received the alert. I just grabbed my go-bag and ran. I was the last to leave the scene after the ambulance had left, so I had a moment to speak to the victim’s family members. They were still crying. That’s when I realised that CFRs are not just there to save lives but also to comfort families. What does Total Defence mean to you? When people are our only natural resource, everyone has a part to play in safeguarding the country’s security. I’m helping to keep Singapore resilient as an active ORNSman, and also contribute to our economy as a working professional. What is an act of heroism that has inspired you? Earlier this year, a Thai naval diver died while trying to rescue 12 children who were trapped in a cave. He was selfless, fearless and persistent despite knowing the risks involved. In the end, he sacrificed his own life so that others may live. Armed with a degree in biomedical engineering, WO (2) Melvin Sin Wai Loong works as a microscopist at A*STAR’s Institute of Molecular and Cell Biology. 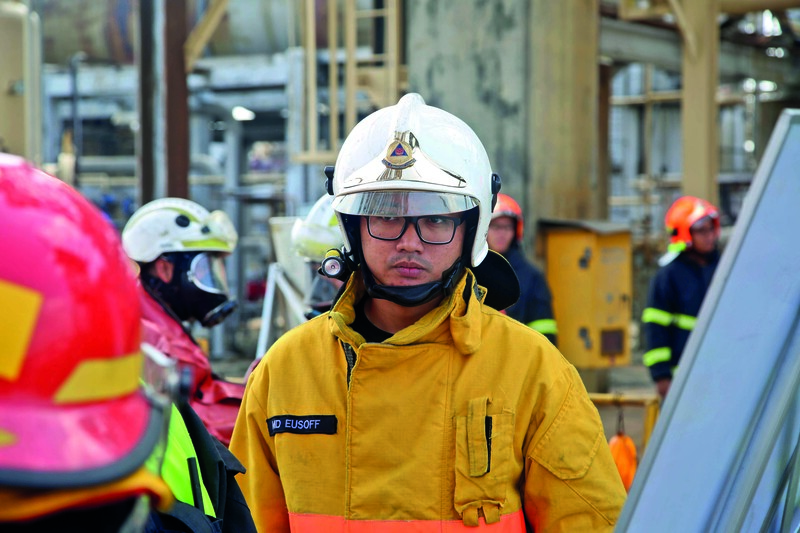 Equally remarkable is his 11 years of service in the SCDF. 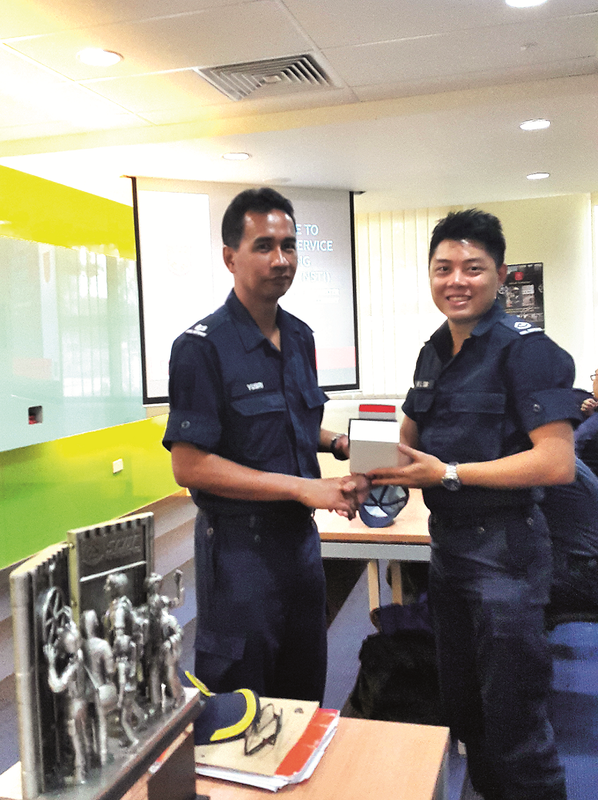 After serving NS, Sin continues to support the Force as part of the MRT Shelter Company reservist unit. Why did you sign on as a CFR? I’m certified CPR+AED-trained, and am an occupational first-aider and fire warden at my workplace. All this has prepared me well for my role as a CFR. What role do CFRs play in protecting the nation? Total Defence is about each individual playing his/her part in defending Singapore against all forms of attacks. CFRs play an even more crucial role now, with the heightened threat of terrorism. Having as many CFRs as possible will ensure that we do not panic, and that there are people around to offer first aid in the event of an attack. My parents. My father was in the very first batch of National Service enlistees. He is determined, responsible and just. He takes pride in his work and does everything to the best of his capabilities, while staying down to earth and respectful. My mother is also capable, speaking several languages, including German. She is diligent in her workplace and nurturing at home.